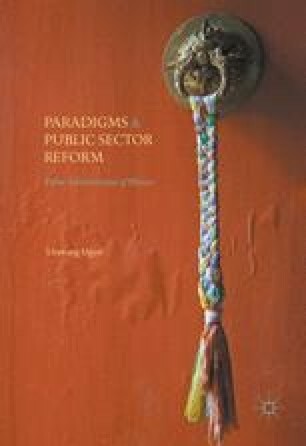 This chapter examines some of the challenges in evaluating public sectors reforms and the approaches to evaluation using a mixed-method approach. Data obtained from the opinion survey and in-depth interviews with civil servants in Bhutan form the basis for the evaluation of the Position Classification System (PCS). A general overview of the perception of the Bhutanese civil servants towards the PCS is provided. It also examines the scope of the PCS and evaluates the PCS based on some of its process dimensions. The evaluation of the formulation, transition and implementation processes of the PCS reveals a mixture of failures and successes. The findings conclude that the normal policymaking components of the PCS were viewed positively, and the paradigm-shift reform components were mostly unsuccessful.